The Sony NEX-VG900 is the first Handycam with a 35mm full-frame sensor. The VG900 has a 24.3 megapixel Exmor full-frame CMOS sensor, XGA OLED Tru-Finder, 3 inch XtraFine touch panel LCD and is compatible with full-frame A-mount lenses via a supplied adaptor. Sony offers 1080/24p along with 1080/60p on the VG900, one of the complaints leveled at the first VG series models - but, oddly, no 1080/30p. The NEX-VG30 has a 16.1 Exmor APS HD CMOS sensor and can shoot Full HD AVCHD video footage at 50p, 25p or 24p. Beautiful, film-like results can be achieved by shooting video in 25p/24p progressive mode, with Cinema Tone Gamma and Cinema Tone Color offering precise control over cinematic color grading effects. AVCHD version 2.0 standard 60p/50p recording is additionally supported, maximizing the range of creative options for movie-makers to explore. The 1080 60p/50p .MTS videos shot by a Sony NEX-VG900 and VG30 handycam have high qualities, but it's not an easy thing to import and edit these 50p/60p AVCHD with Avid MC. 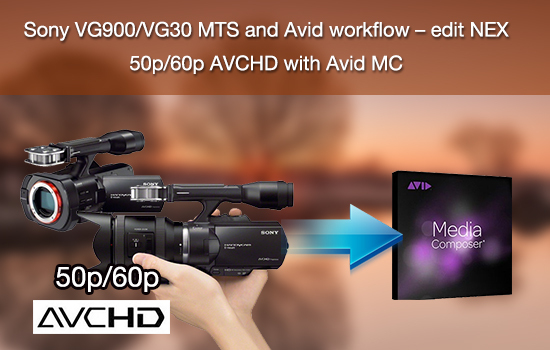 If you need to edit Sony NEX-VG900/VG30 1080 50p/60p AVCHD footages in Avid Media Composer on a Mac, you'd better transcode AVCHD to DNxHD MOV, so you don't need to render. What do you need to convert Sony AVCHD to DNxHD for Avid Media Composer? 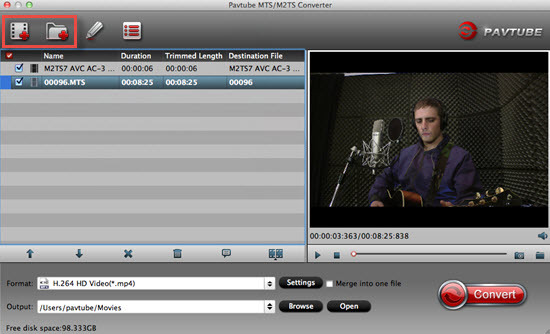 Pavtube MTS/M2TS Converter for Mac - more than converting AVCHD for using in Avid MC, this Mac app also comes with optimal format profiles for a wide range of other NLEs, such as Final Cut Pro, iMovie, Final Cut Express, Adobe Premiere, Sony Vegas. With advanced encoding technology, it generates files with best image and sound quality, no audio and video out of sync issues, no visible quality loss. 1. The free trial version is provided for you to see if it would be able to convert your AVCHD format video from a Sony HD Handycam. How to get Sony NEX-VG900/VG30 1080 50p/60p AVCHD to work with Avid Media Composer? 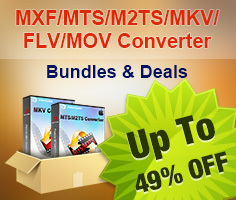 Start up Pavtube MTS/M2TS Converter as a Sony VG900/VG30 camera converter for Mac. Click "Add video" or "Add from folder" icon to load your source files directly from your camera, or from a card reader, or from the file folder that contains the source MTS videos stored on your computer's hard disk drive. If you are working on Mountain Lion 10.8, you are suggested directly dragging and dropping your mts files into the program. Yosemite can also run this app without any jerky. Click on "Format" menu and the profile list pops up. 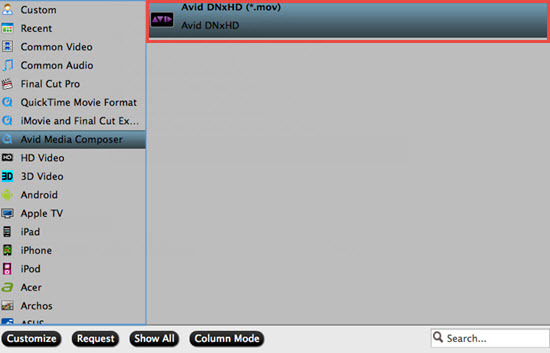 Move to "Avid Media Composer" column and choose "Avid DNxHD (*.mov)" as target format. Click "Convert" button to start rewrapping Sony NEX-VG900/VG30 AVCHD footage to Avid Media Composer editable DNxHD format. Once the conversion is done, you can click "Open" button to find out the generated QuickTime files for editing with Avid MC. After that , you can directly import your files into Avid MC without any problem. If you would like to know more about playing , editing , DVD burning about AVCHD (mts/m2ts) files , then you go to this AVCHD Page.